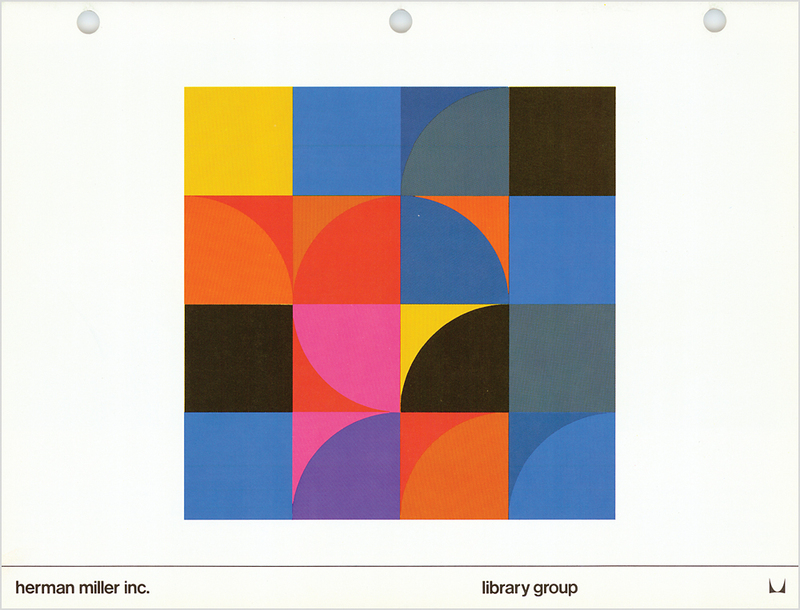 One of series of brochures in the 1968 Herman Miller catalog binder. This comprehensive piece displays library furniture offered by Herman Miller at that time. In-use and detail photographs of various uses of the products are shown. Size W 11" x H 8.5"
Paper/Material White dull coated text stock. Techniques Offset printing, 4 color process. Saddle stitched, drilled.